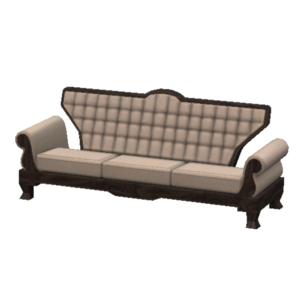 With its chic design and striking quilted cushion back, this sofa is so unique, your guests will want to sit on it as soon as they see it. Contemporary, cool and chic furniture adorned with sophisticated details. This set is bound to make an impression.